Not all meeting rooms are the same — that's why we make technology for rooms of all shapes and sizes and provide our customers with the tools and features they need to make their meetings great. Today we're focusing on the large conference room and boardroom solution. The Lifesize® Icon 600™ is made for large meeting rooms and brings teams together to enhance collaboration and relationship building through a dedicated presentation space, unheard of audio quality and a flawless connected device experience. The Icon 600 is specifically crafted to enhance your larger team meetings with the ability to connect up to two HD monitor displays. Set one display for in-room presentation sharing and the other display for the active video participant feed. With the dual screen feature, you can share your presentation without sacrificing face-to-face communication with your team. The Icon 600 pairs perfectly with the Lifesize® Phone™ HD, and the easy-to-use touchscreen interface makes joining, controlling and running your meetings truly simple. 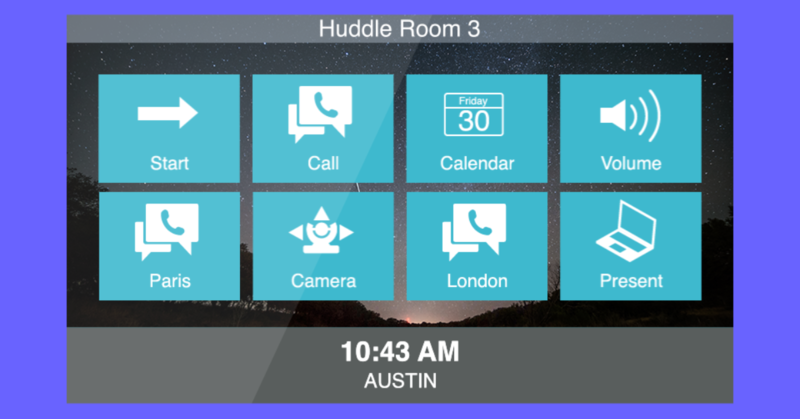 The phone has built-in camera controls for pan/tilt/zoom as well as noise cancellation and the ability to add additional MicPods to extend the audio pickup range for the largest conference room tables. By pairing the Icon 600 with the Lifesize app, your meeting rooms gain all of the features you've come to expect from the Lifesize service. From the integrated directory that makes it easy to search for and add users on the fly to the ability to record your meeting with a single click, the Icon 600 is the easy-to-use connected device that brings Lifesize into the large meeting room. Collaboration is made easy with Lifesize. While the Lifesize Icon 400 and Lifesize Icon 450 are perfect for the huddle room and home office and the Lifesize Icon 800 is ideal for the auditorium, the Lifesize Icon 600 thrives in the large conference room meeting space.